Recently I worked on a tutorial that required me to serialize a large amount of objects. This is a common use case in many games - if the user quits the game and reopens it you want to restore the entire game state. 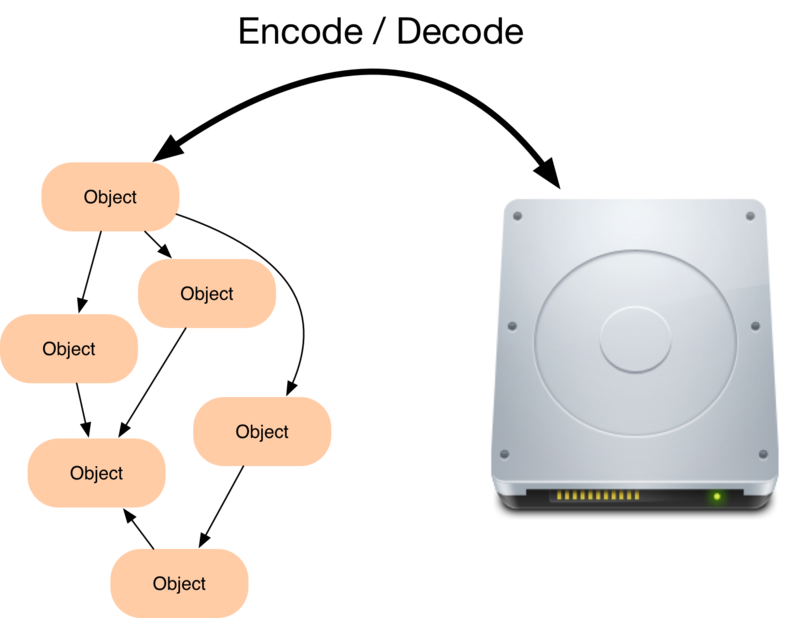 As you may know the NSCoding protocol is responsible for marking Objects to be encodable and decodable. Without using third party tools you need to implement encodeWithCoder: and decodeWithCoder manually. You need two lines of code for every property of your object, one for writing it and for reading it. It is nice that Cocoa provides the flexibility to do this manually, but honestly in most cases you just want to go with a default serialization. In my case implementing the NSCoding protocol manually would have meant a boring afternoon and hundreds of lines of boilerplate code. Autocoding is a great little utility that makes serialization in Objective-C a breeze. It is a lightweight framework that adds a category to NSObject. Simply add Autocoding.m and Autocoding.h to your project. There are a lot of additional options, for example for excluding properties from being serialized, but for most applications it will stay this simple! An incredible improvement over writing hundreds of lines. Never write hundreds of lines of serialization code again!